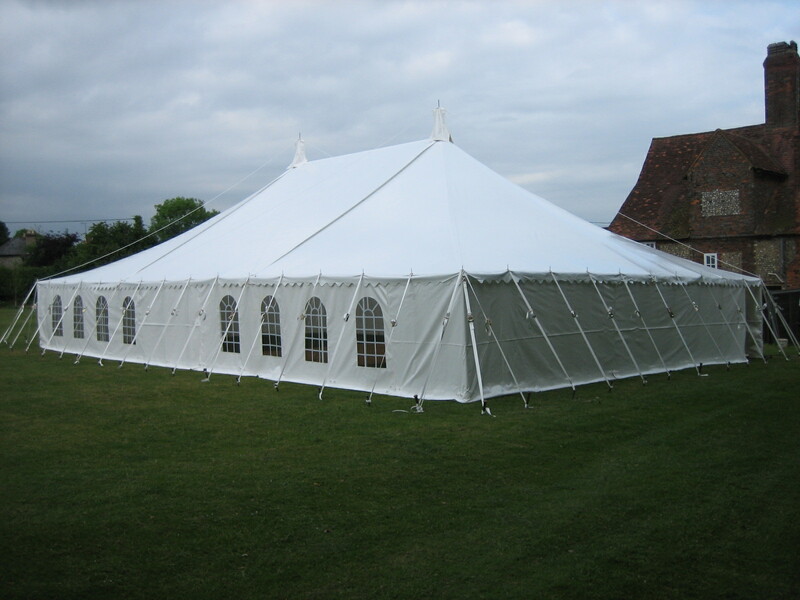 The first Speen Marquee was bought in 2000 to provide a facility that could accommodate larger events than possible in the Village Hall. A 60ft x 40 ft, second hand marquee was purchased at a total cost of £6000 following fund raising by Stuart Newman. 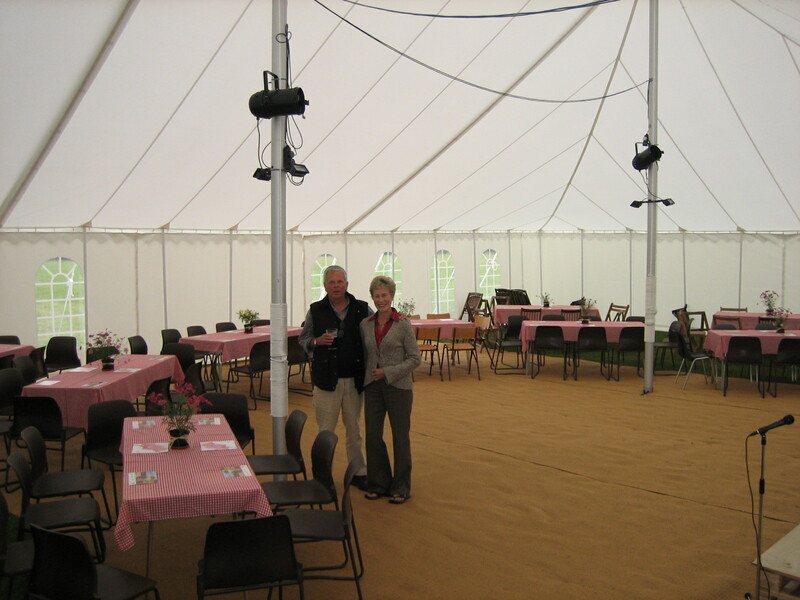 The marquee is mainly used for local village events (Fetes, Funday, Festival, etc). It is also available for hire by villagers of Speen, Hampden and North Dean, usually when it is up for a village event. The hire income covers repairs and insurance costs, with any surplus being put into a reserve for the marquee’s eventual replacement. 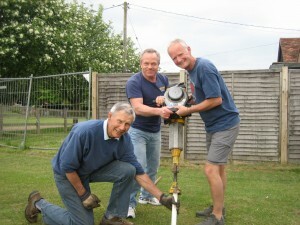 The marquee is managed through a small management group and a team of trained (well, enthusiastic!) volunteer erectors. Each hiring requires a team of 8-12 drawn from a pool of about 100 volunteers who were each persuaded in a weak moment to give over their email address. After 9 years experience the erections now usually go very smoothly. They also provide much amusement (both for team members and spectators!) and a good opportunity to meet other villagers. The first marquee reached the end of its usable life at the end of the 2008 season. So it has been replaced with a new one of the same size and type, made by Weatherills at Thetford, Suffolk. The Grand Opening took place in June 2009 when Andy Gower led a mass blessing by villagers. The new marquee cost £10,000 including new matting and groundsheets etc. We sold the old on eBay for £1,650, used £8,700 from our hirings reserve, and raised the remainder from a Grand Draw. Nearly all villagers bought tickets for the Draw. In 2010 we had four bookings for village functions, two private bookings, and some shoulder bookings. So the marquee was well used. To ease and speed the erections and strikings we bought a petrol engined ‘Wacker’ for driving in the steel stakes (see photo), and a trailer to store the marquee. The hirings are now complete for 2010. We are all very grateful to James Entwisle, Trevor Dunnington, Jeremy Symondson and Ashley Cooper who led erection teams and for all the volunteers who turned out to help this season. New volunteers are always very welcome. For information on the availability and cost of hiring the Marquee contact John Holmes (01494 488420 or jholmes@nildram.co.uk).